Supplied and fitted throughout the Glasgow area. 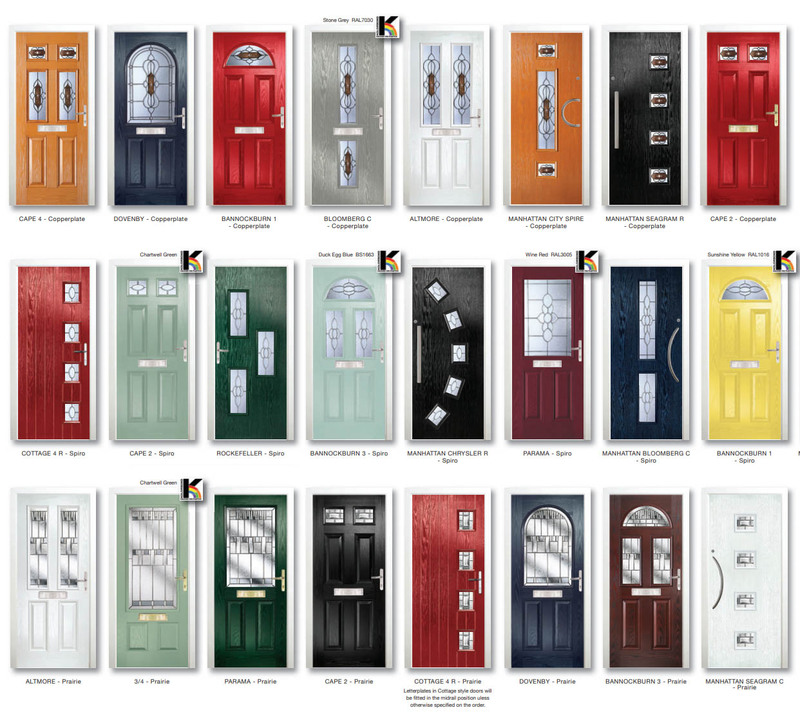 Head over to our 2nd website Composite Doors From Us to design your own Door-Stop composite front door. On this page Doors From Us present the pioneer range of composite doors by leading UK manufacturer North East Panels. These beautiful bespoke doors are built to last and will not warp, crack, split or peel and are very low maintenance - they only require an occasional wipe with a damp cloth. They come with high security multi point locks with lock bolts at the top and bottom and a mortise lock in the centre. For added security, the lock keeps are secured to the outer frame through the steel reinforcement and also through two layers of uPVC. The locking system meets the requirements of "SECURED BY DESIGN", a police initiative. Please use the link below to view or download the full colour brochures. You can request a quote using the form below. Thank you for submitting your request for a quote. Your message has been received and we will contact you by email within 24-48 hours with your quote.